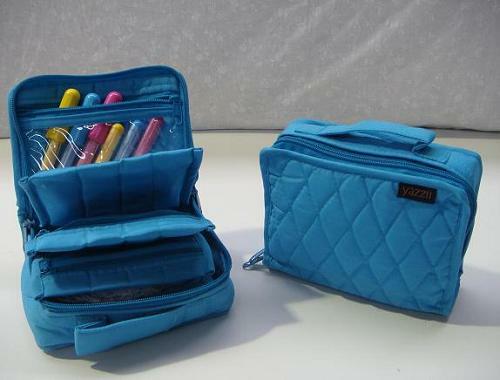 Yazzii storage bags are durable storage bags that are perfect for your crafty person. However, their use is endless. 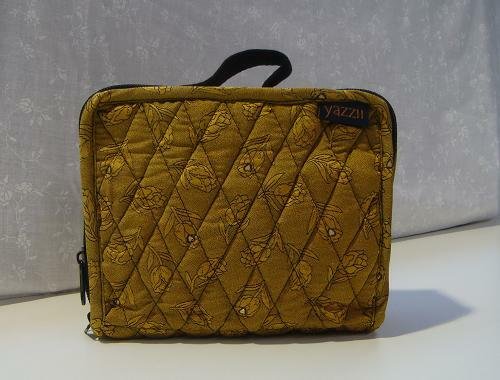 Use your Yazzii bag for cosmetics, medication, map holders, wine carriers, sports bags or anything else that you can think of. Why not embellish your Yazzii storage bag to add that personal touch? Apply Hot Fix crystals for a bit of bling. Or cover your bag with Clover Kanzashi Flowers or Clover Yo-Yos. Make a small pom-pom and tie it to the zipper tag. The Mini Craft Organiser is a handy, compact bag measuring 16cm x 12.5cm x 6.5cm. Containing 4 pages, all with see-through plastic covers and zippers, you can store your small items and easily locate them as you turn each page. Size when closed: 39cm x 14cm x 2cm. Price: Sorry, you must be logged in to see this information.